Beading can get messy. 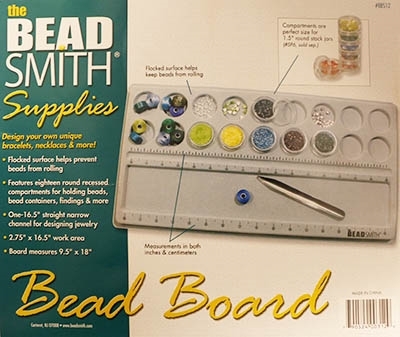 Without the proper tools, your beading station can quickly become an unmanageable disaster, causing you to lose inventory and waste time finishing your projects. Appropriate bead organization and bead storage will help you keep your beading station in proper order. Red Panda beads has everything that you need for bead organization, including bead mats, bead tubes, beadboards, trays for beading, storage and more. Shop all your bead organization needs with us today!